You’ll be surprised at just how much easier and better removals will be when you have a good removals and storage solution put in place for your family when you’re ready to move somewhere. 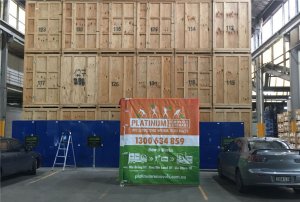 Get Platinum Removals & Storage to provide you with the best moving and storing services in Sydney en Melbourne! 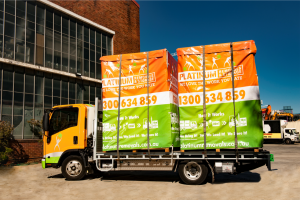 Platinum Removal and Storage has been focusing on the moving bit of things for very long and we’re very established in the Sydney circles for the best moving companies around. We know that it’s important to keep growing our business and we want to continue to find new customer service points to help our clients get the most out of our expertise! That’s why we are moving into storage removals now – all the better to help you look after your items when things need to be transported or organized. 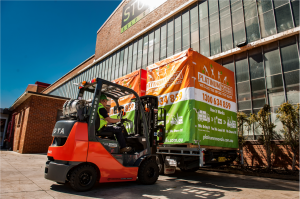 Removals and Storage in Sydney isn’t really a new concept though – people have been moving things into storage for a long time, and they’ve been getting moving companies to help them ensure that all of their items are properly protected and accounted for when they’re ready for the move. It makes sense. All of the removalists are well trained and because they handle the moving of furniture, equipment and tools, they know just how to maneuver all sorts of items around and give the proper attention and care to breakables and fragile items too. If you’ need to move precious belongings into storage, it would really be in your best interest to get the professionals to handle the job! But combining storage in a moving company is something new! Now instead of having to work out how one company gets hold of all these items and having to juggle dealing with 2 schedules so that everything gets handed over from the moving guys to the storage guys, storage removals will take care of it all from step 1! Our moving services and storage solutions start with setting up an appointment for the move. You’ll be pleased to know that we also offer packing services if you would really like the VIP treatment. Our packers will help you set your items aside and packaged into storage boxes before the removalists arrive. When we DO arrive with our portable storage units, we’ll help you to load up all of your items into our mobile storage pods and get everything properly packed up – the breakables and other items that may be potentially scuffed are wrapped with protective padding and other more fragile items placed into plasma crates. Once everything is ready to go, our storage units are off to our storage warehouse where they’ll sit protected and under surveillance until you need them again! Our storage units are made of plywood and are designed for long term storage. Keeping your items fresh and clean while they are waiting to be redeployed to your new location is important so that the value and quality of these thigns remains intact no matter how long they may be put away. In addition, our storage units are also placed on wooden pallets inside our warehouse and stacked so that they save space. This helps to limit the amount of contact with the surroundings and reduce the amount of condensation on the outside of the storage unit panels. All these measures that are taken when you’re executing a long haul move are just as applicable in our storage removals services too! Let Platinum Storage and Removals truly take care of the operation while you sit back and direct where things go. With all the benefits of the removals team helping you to get your items into storage, storage removals is the best idea that Platinum Removals has had so far! Our moving storage services is a revelation that we are eager to let our clients enjoy so find out how we’ve made the removals and storage options affordable and accessible to all! Have storage removals incorporated into your house move now!